Let’s call this one a softer side of Mom. The artist’s best work, for me at least, has always been about energy, often giddily jamming genre together or simply finding his own perspective on hip-hop and running with it. “Himitsu No Futari” keeps things mellow. It’s the closest he’s come to approaching that neo-city-pop sound, here backed by whistling and light guitar playing. It’s pretty sedate, and feels more like an interlude than something to really dwell on, though entire bands have made careers out of a similarly snoozy sound so here’s hoping this is just a detour. But even then, credit to Mom’s singing, which brings an unpredictable energy to a predictable backdrop. Even when a song misses the mark, Mom at least reminds you why he stands out. Listen above. 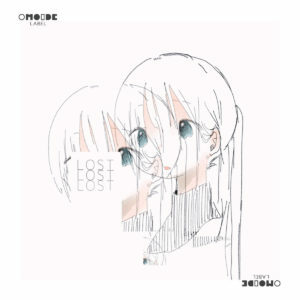 I’m just so tired recently…the latest release from Omoide Label serves as a real nice shot of sonic caffeine, an upbeat trio of dance songs from producer Toti that really just go for pure energy over any evolution of the “future bass” sound that has been kicking around for a while now. The title track comes closest to being something signaling a way forward, as Toti embraces space and a slower build to create something that hits harder. But look, I’m burned out, so the familiar lightspeed dash of “Neo” sounds incredible to me, and is just the bucket of water splashed on my face at this moment. For all the other sleepy folks out there, embrace the energy and get going. Get it here, or listen below. Haruno steps towards the spotlight on these pair of recent releases. The artist has previously used Vocaloid singing as a base while in recent months has switched up to more beat-oriented instrumental chill outs. But now Haruno is making their vocals (presumably) go to the center on numbers that opt for mid-tempo pop. “Broadcast” came out last week, and offers something approaching slink from Haruno. Over a beat and some synth squiggles, Haruno delivers an English-language verse darted with regret that gets obscured by the generally bouncy music around it. Listen above. “Terminal Center” unfolds at an even slower pace, Haruno going for lazy-day R&B allowing plenty of space for their voice to take off…although they ultimately choose to keep it a bit on the muted and fuzzy side, accenting it with piano melodies and a few well-timed anime samples. It’s as easygoing as a 2 p.m. riverside stroll, but also comes a little too close to replicating the inert instrumentals serving as their weakest work to date. “Terminal Center” is background, while “Broadcast” shows a way to move forward towards something interesting. Listen to “Terminal Center” below. Japanese indie creators ongoing interest with throwback styles and genres associated with the Bubble era might have reached a logical end with Wai Wai Music Resort’s first collection of songs. 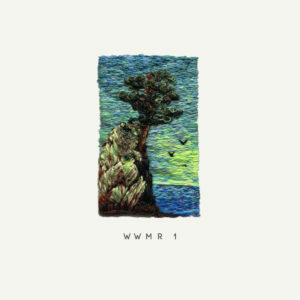 Released via Local Visions, WWMR1 embraces the most chilled-out elements of retro music culture, creating something breezy but with an emotional aching still present (to be a little more contemporary, this one should be slotted next to On Vacation, albeit it relies a bit more on vocals). Travel plays a big part in establishing Wai Wai Music Resort’s vibe — an airplane announcement starts the album before it pivots into slow-motion umbrella-drink pop, while highlight “For Lonely Drivers” taps into one of the best city pop gimmicks ever (creating a fake radio station to thematically broadcast your songs) to create a warm number aimed at late-night trips by someone alone in their car. Verses and choruses pop up, but they never rise above a breeze, settling in nicely alongside the relaxed Club Med-worthy sounds (save for the funky “For Lonely Drivers (Sunset Drive Mix),” which feels like a lively bonus cut more than anything else). But in all that relaxation, a lot of time is spent hitting on feelings that sometimes don’t come up in busier music. Get it here, or listen below. Every few months, an internet-centric electronic artist in Japan releases a song that makes me stop and go “….wait, is this like a return to Shibuya-kei mindsets?” It’s a feeling YUC’e conjures up frequently, and Puni Puni Denki’s new song “Life Is Super Dope” goes even further by pivoting into bossa nova that would make record diggers from 1993 proud. This risks turning into dentist-office soundtrackery, but Puni Puni Denki’s ability to add in elements that offer a little bite — samples lurking in the back — and letting the singing pop a bit more push it up. Plus you have the semi-jarring use of “super dope” in an otherwise hammock-ready number. Listen above.